The Osgoode IGA Grocery Store occupied the space of the Mac’s on Osgoode Street. On the East side of the grocery store had Quinn’s Candy & Cigarette convenience store and an electronic TV and radios sales and repair store. This substitution illustrates the struggle and death of independent grocers replaced by corner stores operating under a known banner. 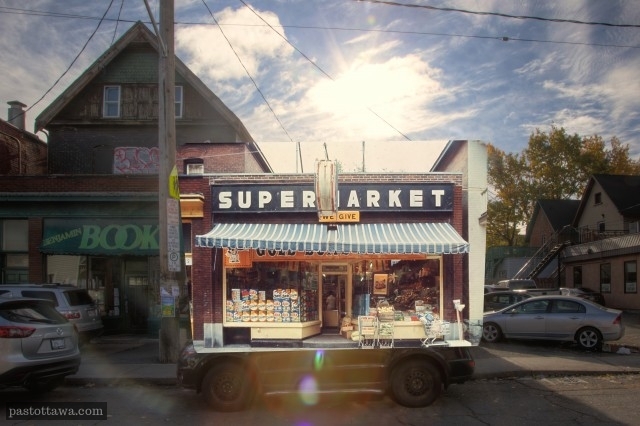 Over the last decade, Boushey’s and Goldstein Fresh Mart on Elgin Street have been replaced by a Quickie and a Dollarama. 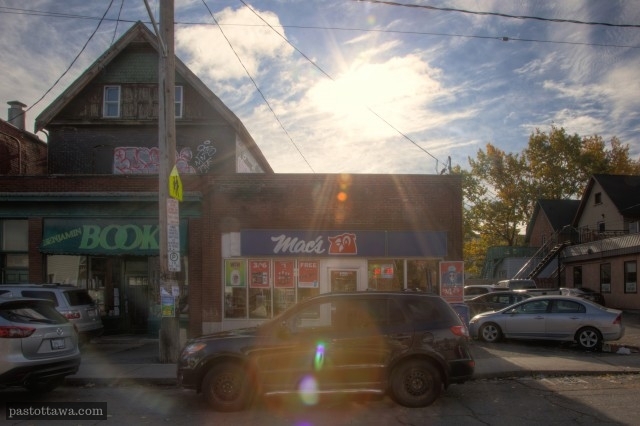 From the archival photo, you can barely see the 3-story house that was standing on the parking west of the Mac’s store. A laundry business occupied the ground floor of that house.